I recently brought a Redmi 5 Plus. Calling works fine and I can view and sync account statistics in the sidebar. I can start, send, and receive text messages, but when I try to tap on a thread to read messages the app crashes immediately. I have included a screenshot of the error report it generated. 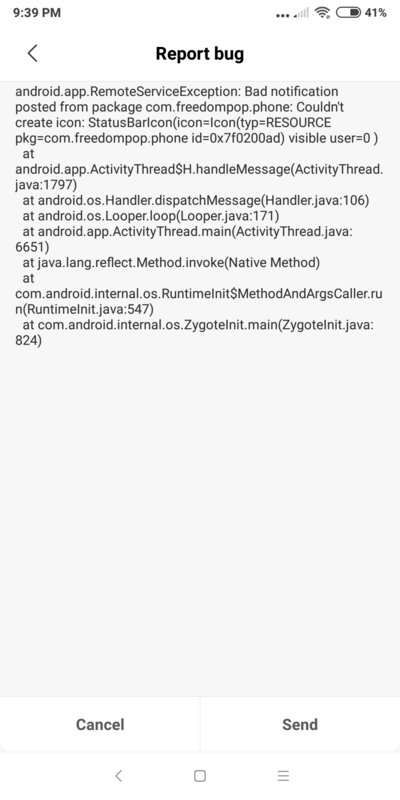 I have seen a similar thread on this forum but this looks to be something regarding a specific resource in the app or maybe something with the phone's "MIUI". Can anybody shed some light on this? In the meanwhile, I can still access message threads by acting as if I want to start a new message thread. If I enter a recipient who already is in an existing thread, the app lets me see the thread. Hope there is a real fix for this though.